I had the pleasure of visiting Longwood Gardens in Kennett Square, Penn., this past weekend with my mom, sister and godmother. 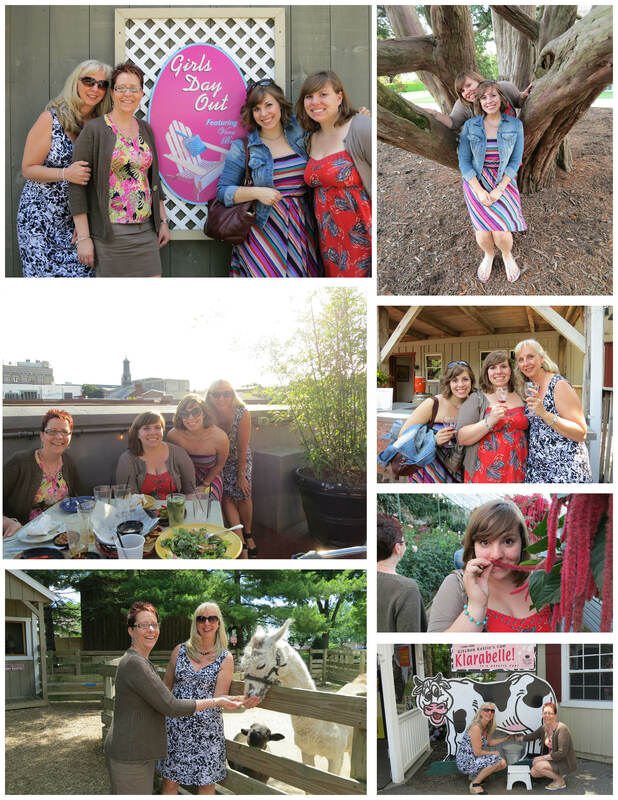 We had a day full of activities, including shopping at the QVC Employee Store (my sister works there), visiting Amish Country, tasting wine at three separate vineyards, and walking around Longwood. 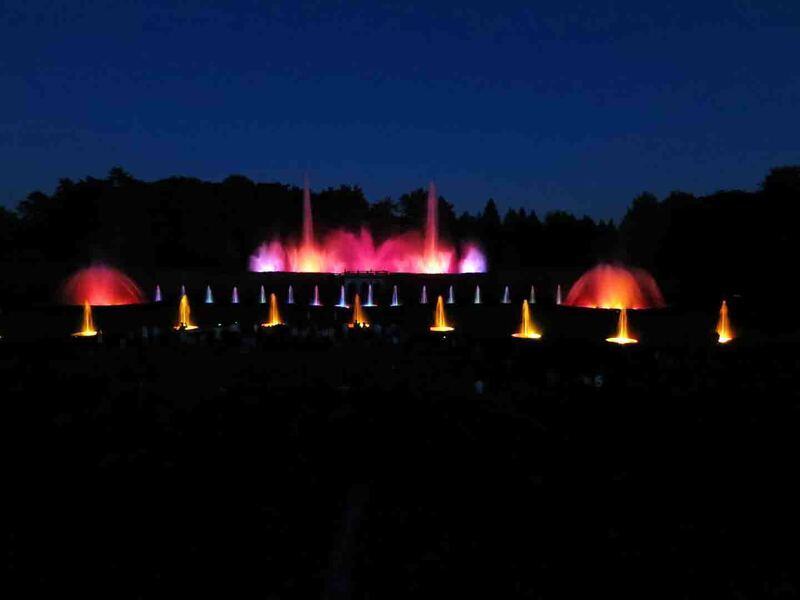 I’ve been to Longwood Gardens before and it’s gorgeous, but Saturday night was spectacular. 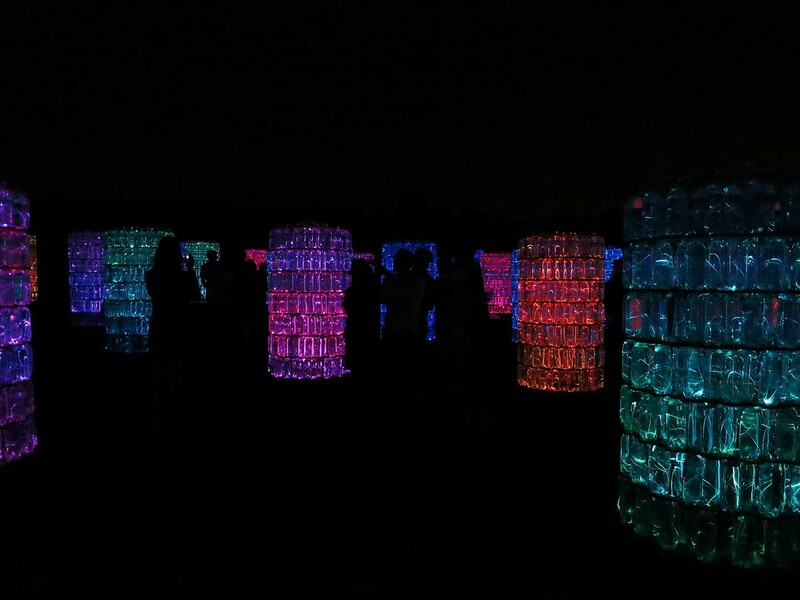 There was a special installation by British artist and lighting designer Bruce Munro called Light, and all around the gardens were beautiful displays of colorful lights. 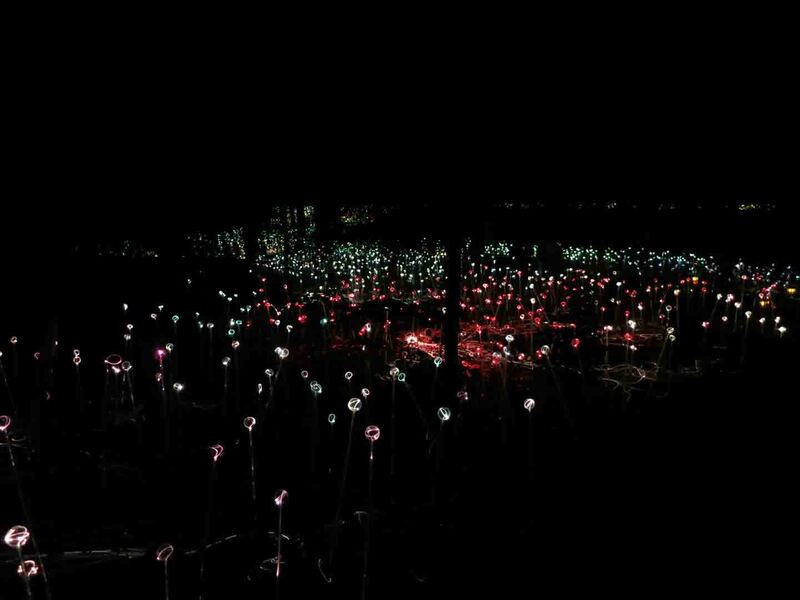 The conservatory was decked out in glass orbs hanging from the ceiling, the fountains were lit with colored lights, and there was a fiber optic display of lights winding up a mini hill. 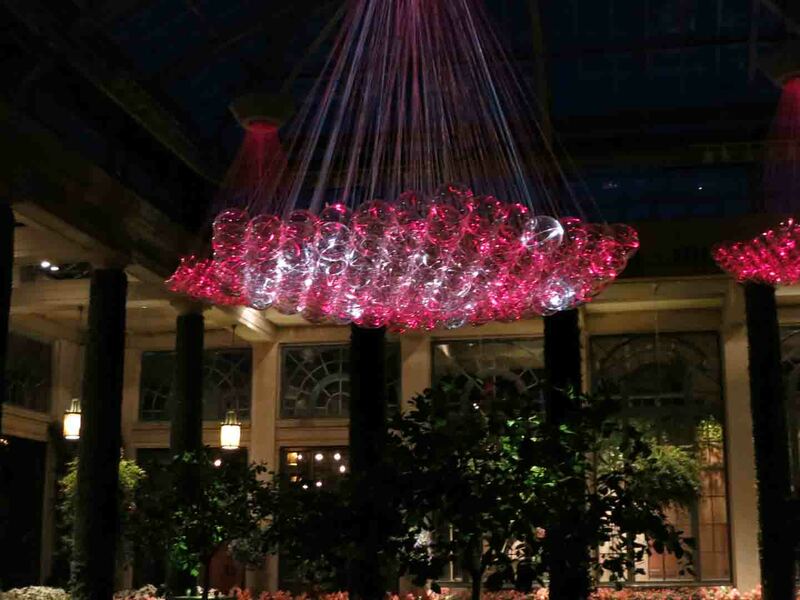 Glass orbs hang from the ceiling in the Conservatory. The fountain was lit with different colors. But that’s nothing. The best parts of Light were the Forest of Light on the Forest Walk and the Water Towers on the Meadow at Hourglass Lake. 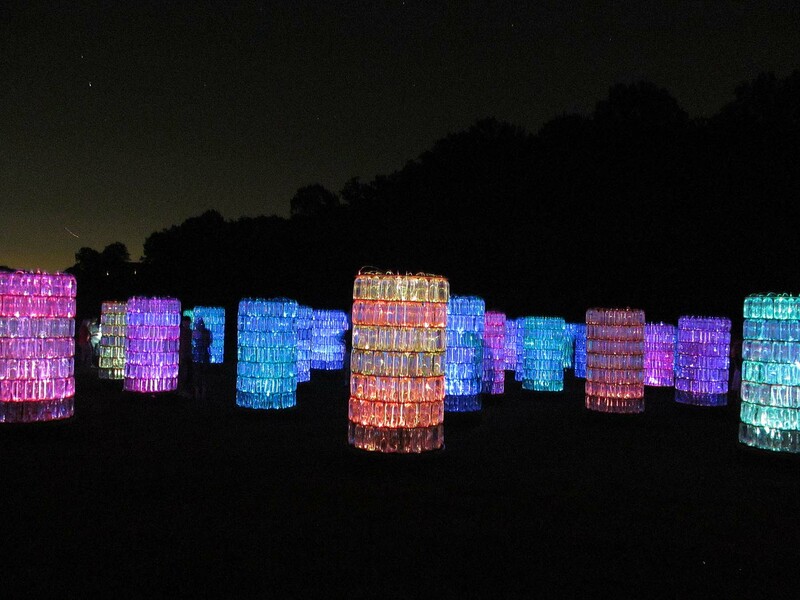 The Forest of Light on the Forest Walk. The Water Towers on the Meadows at Hourglass Lake. 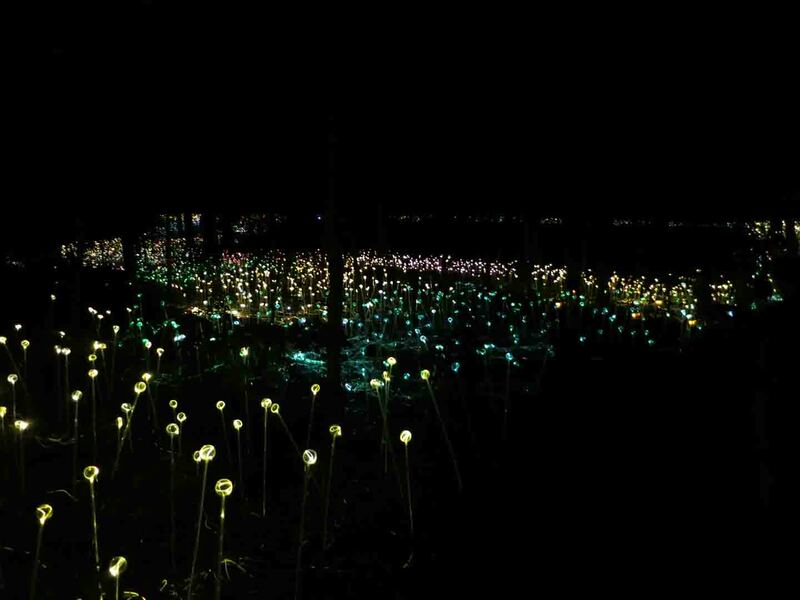 The Forest of Light was amazing. 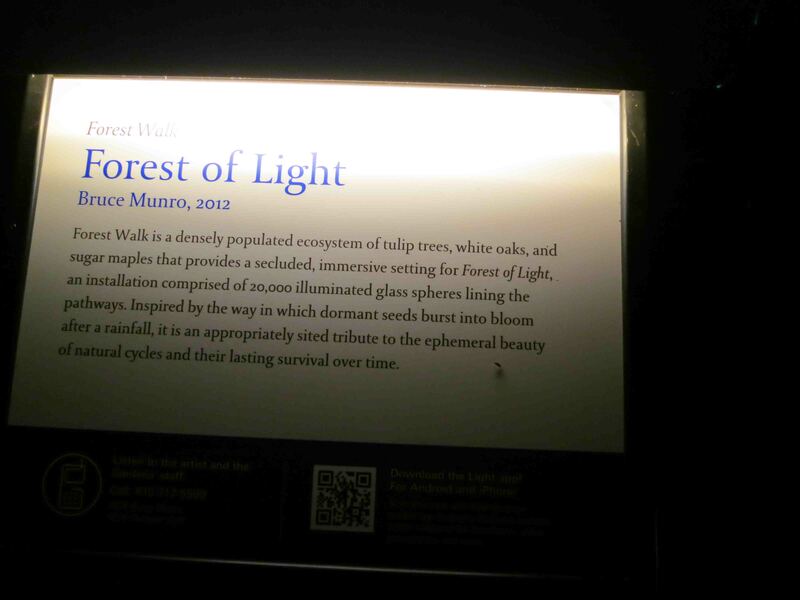 You walk down a dimly lit path at Longwood until you reach a winding path that meanders through a dark forest. 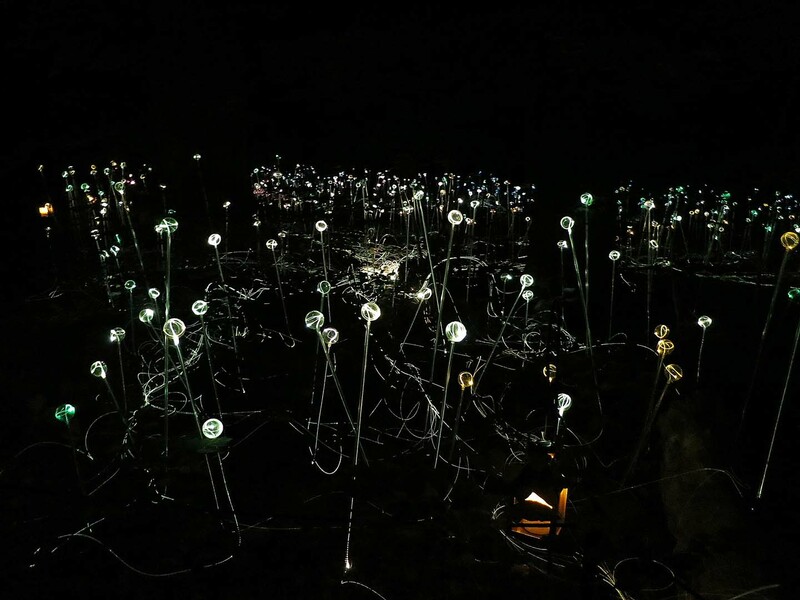 Munro’s installation brings the forest to life — More than 20,000 glass sculptures (a 2.5′ tall glass stick with an orb on top) lined the pathways. Each orb was glowing with a color, which slowly changed, rotating through the various colors of the rainbow. It was like walking through a forest in a fairy tale! I was also reminded of the levels in Crash Bandicoot where your only light source is a firefly. Does anyone know what I’m talking about? Once we were finished walking through the Forest of Light (which took a while because Emily and I lost mom and Phyllis for a while), we headed over to the Meadow at Hourglass Lake. Here we saw the Water Tower display. Again, it was absolutely amazing. 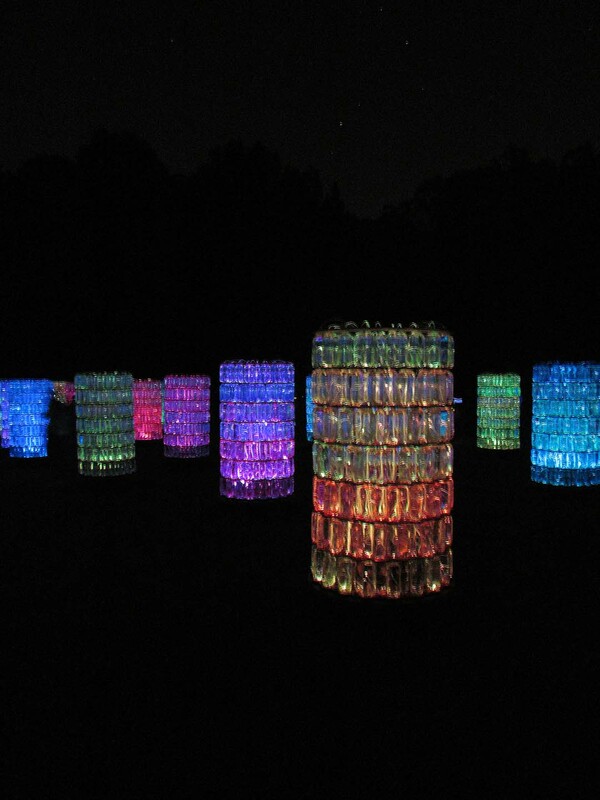 You are standing in an open field surrounded by these huge, glowing structures made of clear, plastic soda bottles! It was unreal. 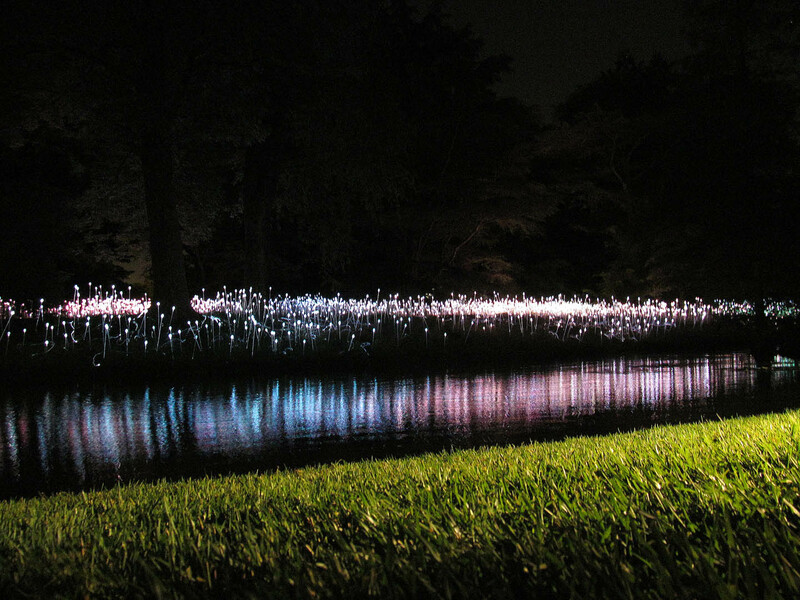 On the way out of the gardens, we passed by one last installation: The Field of Light at the Small Lake. The same orbs that dotted the forest paths were on the opposite side of the lake, glowing radiantly under the starry night. The reflection on the lake was gorgeous. The whole display was beautiful. If you are anywhere near Longwood Gardens, I highly recommend checking it out. Here’s a video of the display being set up. 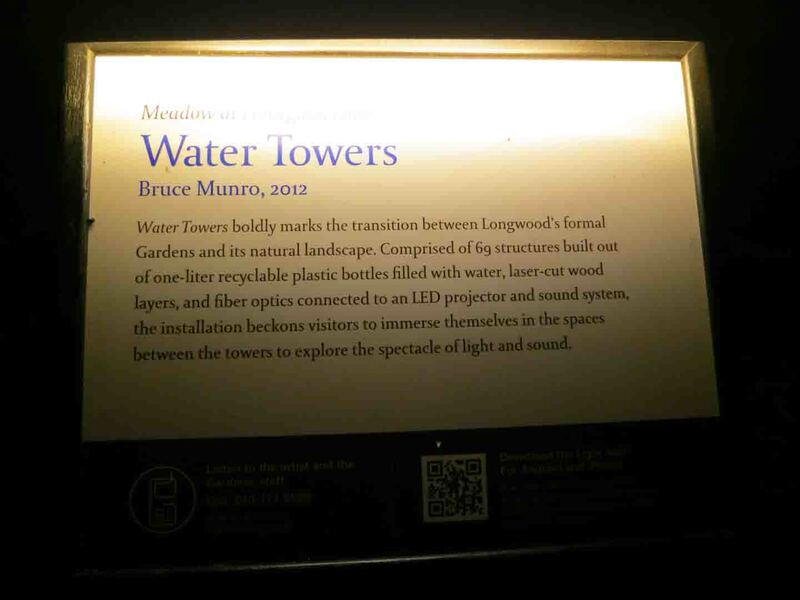 Munro has set up many other displays of light around the world, too. 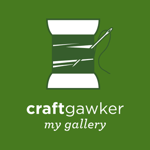 His art is amazing.